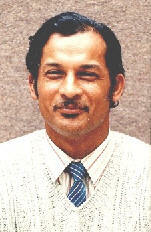 DESMOND DESAI Ph.D., holds post-graduate qualifications in mathematics and music. His research and interest in education, and particularly in musicological research, is on-going and spans more than 2 decades. He also envisages publications in mathematics in business practices, and other aspects of his musical and cultural interests.